Foxpass is excited to officially announce some new features we've rolled out over the past few weeks. We officially offer on-premises deployment through Docker containers in addition to our private hosted and regular cloud deployments. On-premises deployments are great for organizations that need PCI compliance or handle especially sensitive data. Contact us at help@foxpass.com to get started today. We’ve added support for multiple domains. Just enable 'Subdomain Support' on the 'Config' page to manage users across multiple domains. 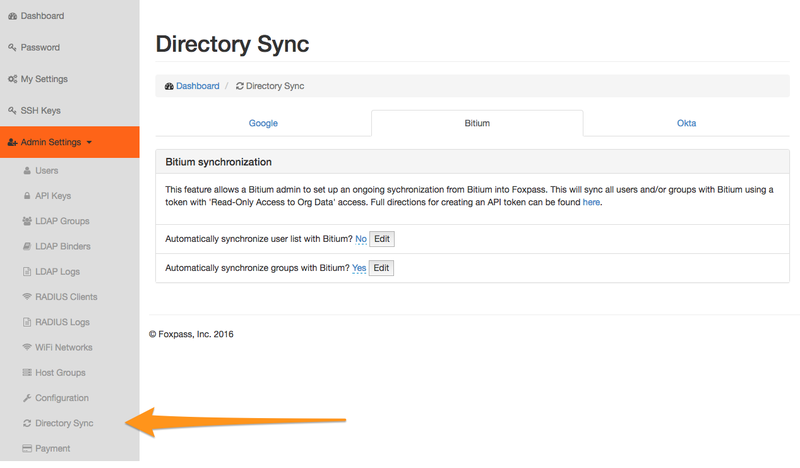 We've created a dedicated sync page so you can easily mix and match your user and group syncing. Sync with Google, Office 365, Okta, or Bitium! We now offer full Unicode support across all of our interfaces and endpoints. You can now manually refresh passwords for your LDAP Binders.